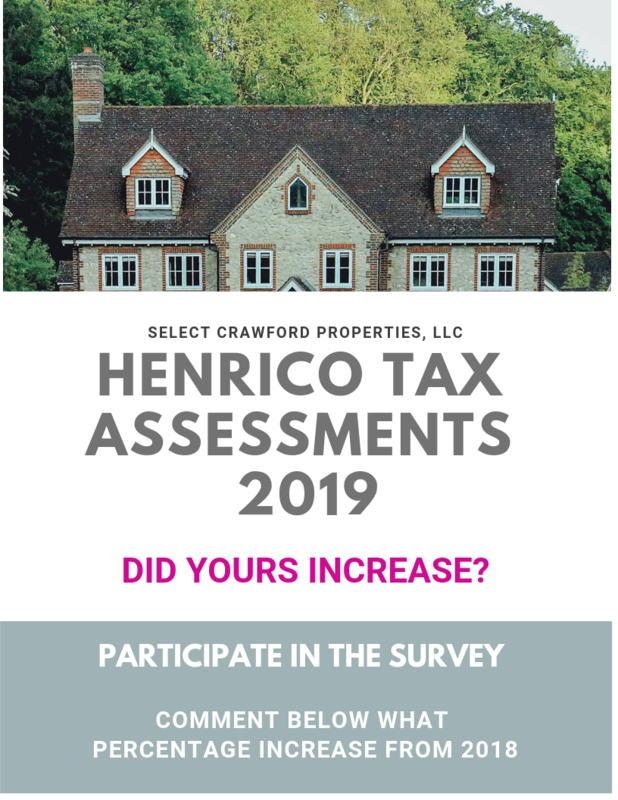 HENRICO TAX ASSESSMENTS ON THE RISE! You just received your 2019 Property Tax Assessments. Did they increase? Decrease? Remain unchanged? Please help me out! I will forever be so grateful!! Let me know the percentage amount. Want to be Super Helpful…Add your Subdivision, so I can update my Market Analysis spreadsheet!